American officials have long criticized China for holding down the value of its currency, the yuan. The Treasury Department renewed its criticism of China's foreign exchange policies on Wednesday, but stopped short of branding the country a currency manipulator. In its semi-annual report on international exchange rates, the Treasury Department called China's currency, the yuan, "significantly undervalued." 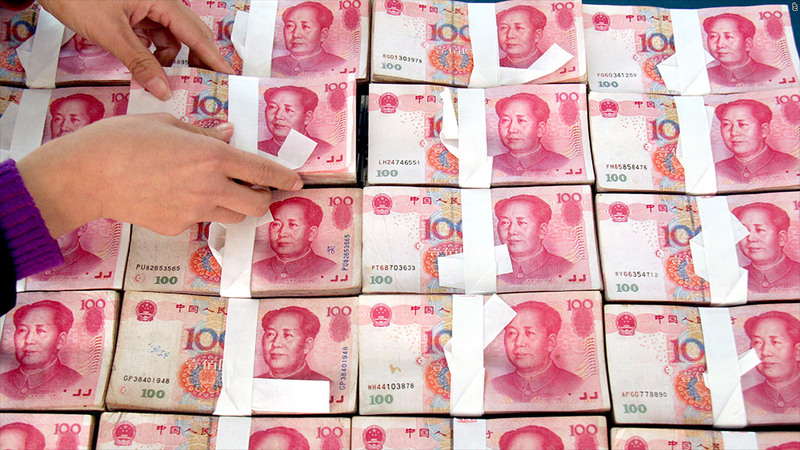 The report criticized the apparent resumption of large-scale purchases in the foreign exchange market that hold down the yuan's value against other currencies. But China avoided being formally designated as a currency manipulator, a distinction that could have led to trade sanctions. The yuan has appreciated by just 2.2% against the dollar so far this year. A sharper increase, the Treasury Department said, would help stimulate domestic consumption in China at a time when it is near record lows as a share of GDP. China's recent growth has been driven largely by high levels of domestic investment, creating vulnerabilities including rising local government debt and an overheated housing market. "Unwinding China's massive internal imbalances will not be easy, but delaying structural adjustment would allow for the further build-up of risk in the system and could lead to sharp correction to growth in the future," the report said. The Treasury Department also called on Germany, the European Union's largest economy, to reduce its sizable current account surplus. It said Germany's continued reliance on export-led growth was hampering growth in both the euro area and the world economy, as fellow EU members like Italy and Spain struggle to increase their competitiveness. "Germany's anemic pace of domestic demand growth and dependence on exports have hampered rebalancing at a time when many other euro-area countries have been under severe pressure," the report said.